Plus Rocket League gets a hockey mode, Quake Live dies, and No Man's Sky gets a release date. Spooky! Boo. Welcome to a super-spooky completely normal end-of-week gaming wrap-up. This week: Halloween sales, game-branded beverages, a Dragon’s Lair film, and a whole bunch of Rocket League news. Like, a hockey mode. Finally. I mean, spooky. First up, Halloween sales. Steam’s the big one, like always, but it’s not a “real” Steam Sale. It’s not even really themed around Halloween. It’s just...a big list of games you can buy. Which is good enough for me. Best deals are probablyThe Witcher 3 for $42, Cities Skylines for $15, and Shadow of Mordor for $17. The sale runs until Monday at 10 AM Pacific. Then there’s GOG.com, which again has a pretty loose definition of “spooky.” If you prefer your Witcher-ing DRM-free you can snag it for the same $42 price, but I’d also recommend $15 for Stasis, a horror point-and-click with an isometric camera—and $2.50 for Sanitarium, the 1998 classic that Stasis took clear influence from. And while it’s not really a Halloween sale...Well, all of the Tribes games are now free. Some highlights are Moonball (low-gravity ball), Cubic (big square ball), and Slo-Mo (self-explanatory). And in December, a Hockey mode is coming. Can’t wait to see two cars take off their gloves and fight. A whole bunch of controversy this week over Quake Live, id’s free-to-play take on Quake III Arena. Or formerly free-to-play. This week, without warning, the game suddenly converted to a $10 price for new players and did away with its tiered free/subscription model. Oh, and a conversion to Steamworks wiped five years of player stats. People are not very happy. Plus another trailer and actual launch date for No Man’s Sky, which is (supposedly) releasing in June, 2016. No, really. Mountain Dew is sooooo 2010. 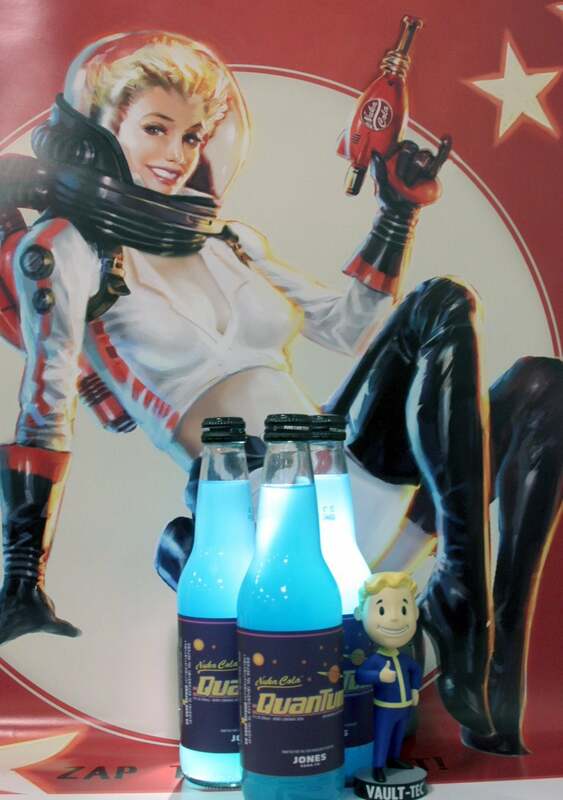 Game-specific drinks are all the rage right now. 1) Last week: Bethesda partnered with Carlsberg to brew the ever-so-cleverly named Fallout Beer. 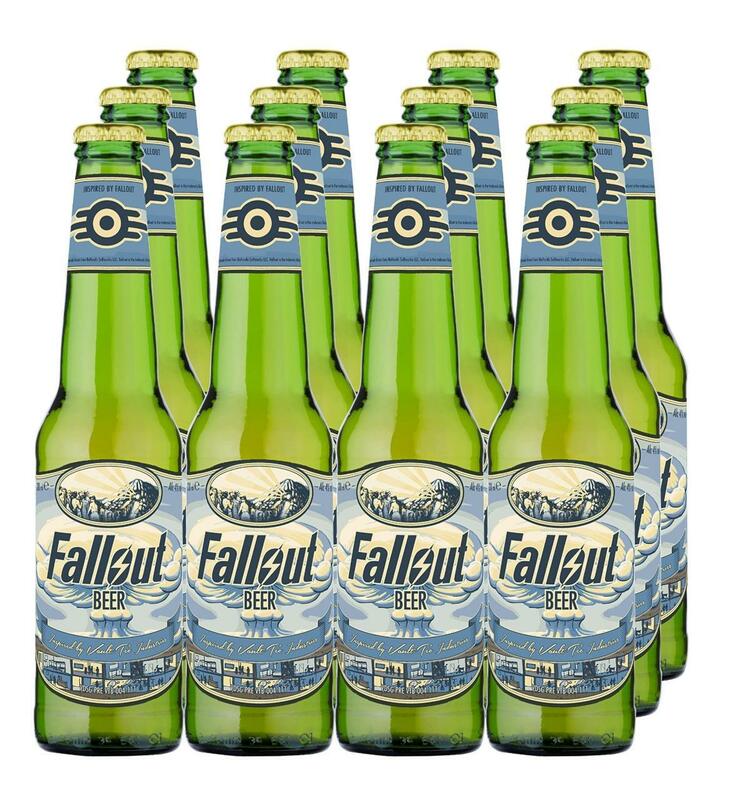 It’s a pilsner with a “refreshing zesty hoppy taste and a floral aroma,” which is not something I would associate with Fallout. And it’s only available in Europe. Amazon won’t deliver it to the US, so don’t bother trying. Refreshing, eh? I’m starting to see a pattern. Alas, this one is Australia only. This is starting to look like a very expensive trip, if you’re a diehard collector of bad video game tie-in promotions. 3) And because America is too wimpy to drink beer, we get...a soda! [Insert joke about fat Americans.] 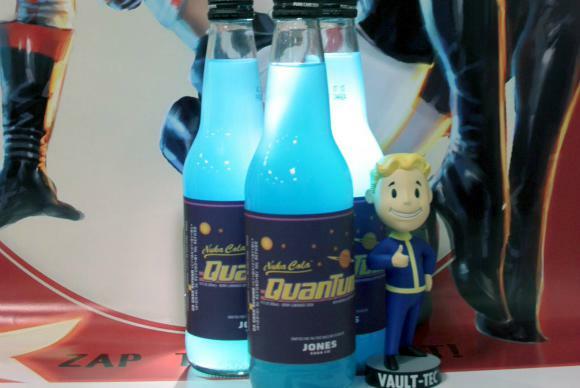 Starting November 10, Target will apparently sell Nuka-Cola Quantum, everyone’s favorite glow-in-the-dark soda. It’s being made by Jones, which means it’s a 50/50 shot whether it tastes amazing or terrible. My money’s on “Blue-Raspberry-Slushie-Left-Out-In-The-Sun-Too-Long” flavor. Before The Banner Saga wowed everyone with its Disney-esque animation, there was the 1983 arcade classic Dragon’s Lair. A weird hybrid of film and “game,” Dragon’s Lair looked like a Disney movie at a time when most games looked like, well, Pac-Man—thanks to LaserDisc. This week Don Bluth (original co-creator) and Gary Goldman (producer who works with Don Bluth a lot) launched a Kickstarter to make a Dragon’s Lair film, bringing the whole thing full-circle. The Kickstarter project is only for a ten-minute teaser, which they’d then pitch to studios. It’s a long shot, but probably the most interested I’ve been in crowd-funding for a while. Batman: Arkham Knight re-launched this week. It’s still sort-of broken, albeit better than it was in June when WB pulled it. We put a score on our review. The New New Xbox One Experience launches on November 12. And there are changes on the Windows 10 side too. I ended up really enjoying Life is Strange, despite some flaws. And just in time for Halloween: Outlast is getting a sequel, and we updated our list of horror games with some 2015 favorites.